THELOFT Hair Studio and Beauty Bar: We're back online! What an amazing year we've had at TheLoft! We are feeling so overwhelmed with the support from all of you we just want to say from the bottom of our hearts THANK YOU! We are so blessed to have such a great group of clients. We have a lot of exciting news to share with you. First we would like to welcome Stacey our Jr Stylist to The Loft. Stacey completed her training in June this year and is eager to be with us. Stacey is also enrolled to take her first advanced cutting class at the renowned Suki's Academy in January so she will be eager to get back and share with her new clients everything that she has learned. Stacey's hours will be Mon- Wed and Saturdays. This year has been a fantastic year for weddings! Thank you to all of the Brides, Mothers Bridesmaids, and Grooms who came in this year, we feel privileged to have been part of your special day. We've been out learning! All of us have been attending all sorts of education this fall to make sure that we are on top of all of the latest trends. There are some really exciting new techniques with colour and texture. Ask us about it on your next visit. 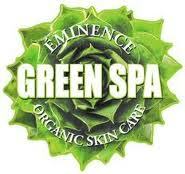 'Eminence' Handmade Organic Skin Care of Hungary. By choosing Eminence you join the fight against global warming. Their commitment to keeping the planet green crosses over all aspects of their company, from farming, harvest, green packaging, to getting the products to you. Eminence address a variety of skin concerns such as premature aging and wrinkling, sun damage, acne, loss of vitality, tone and radiance. The cures come from nature with ingredients that are good enough to eat. Let the aromas treat your senses and the ingredients impart health and beauty to your skin. Come and experience what Hungarian beauties and international celebrities of all ages have known for over half a century- you can have beautiful skin and keep skin beautiful by having regular facials, maintaining a healthy diet and by using natural organic skin care.